Let Sam Adams be your guide as you stroll the winding roads of Boston's Freedom Trail. The origins of our quest for independence can still be found in the 15 sites including Boston Common, Massachusetts State House, Park Street Church, Granary Burying Ground, King’s Chapel and Burying Ground, Ben Franklin statue and Boston Latin School, Old Corner Bookstore, Old South Meeting House, Old State House, Boston Massacre site, Faneuil Hall, Paul Revere House, Old North Church, Copp’s Hill Burying Ground, USS Constitution. Though we go deeper into the history recreating the Tea Party debate at the Old South Meeting House, take a behind the scenes tour at the Old North Church and understand the sailor's life with our Hands on History program at the USS Constitution. There is time to browse Boston’s first public market (c.1742) Quincy Market and Faneuil Hall, for lunch on own. After a day spent understanding the causes of discontent, Sam Adams continues to convince you to become a Son of Liberty as we Dine in the "Headquarters of the Revolution", the Green Dragon Tavern. The Green Dragon Tavern has a long and rich history, playing an important part in the freedom of Boston during the War of Independence. 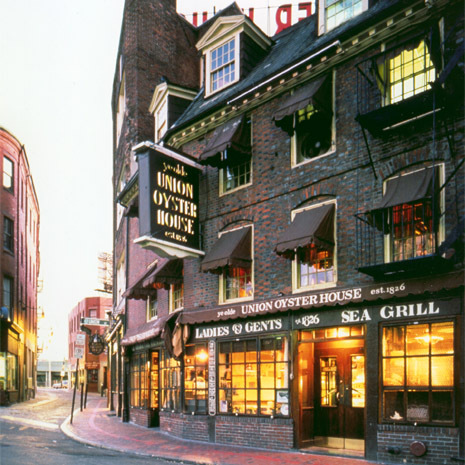 Established in 1654 The Green Dragon was a favorite haunt of Paul Revere, John Hancock and the Sons of Liberty. Indeed, as has been ratified by Daniel Webster – the famous historian, that it was in the Green Dragon that the plans for the invasion of Lexington and Concorde were overheard thus starting the famous ride of Paul Revere. Overnight in Boston (B,D). Today we experience "America's Fort", Fort Ticonderoga, captured by Ethen Allen and Benedict Arnold in "Americas First Victory" and whose canons were transported to Boston by Henry Knox resulting in the British abandoning Boston. We will tour the fort with an emphases on its role in the American Revolution. We also focus on military uniforms with the 2014 exhibit Founding Fashion which brings together for the first time the museum's wide variety of important 18th-century clothing, related artwork, and archeological fragments to illustrate the diversity of clothing worn by the armies who served at Fort Ticonderoga during the French & Indian War and Revolution. We will also provide the supplies for you to build your own haversack and enjoy lunch on own at the fort (P.S. the chocolate ice cream is the best that I have ever had). We travel south along the Hudson River Valley stopping at the Saratoga Battlefield including their museum and movie before arriving at General Washington's New Windsor Cantonment Historic Site. This site features reconstruction buildings of the final encampment of the Continental Army. Between June 1782 and October 1783, 7,000 troops were boarded here in 600 log huts over 1600 acres. Just like the Continental Army, we will set up tents, stand guard and partake of an open hearth cooking demonstration. Tonight dinner and lodging* are completely 18th century as we relive history with our 18 hour Soldier's Life Living History Experience. Overnight at encampment (B,D). We have learned about Benedict Arnold the Hero, now understand his treachery as we dine on own at the Old 76 House which served as a jail his accomplice, Major John Andre. After our overnight encampment, we will fit right in for the Old 76 House has been a haven for weary travelers since 1668 and has hosted every General of the west wing of the Continental Army including Commander-in-Chief General George Washington. With the spirit of Washington in our stomachs, we travel south to see where General George Washington and the Continental Army crossed the Delaware River on Christmas night in 1776 and then marched to Trenton. Here, after losing every major battle since the Declaration of Independence and with a volunteer army about to released from their year of service, Washington orchestrated an epic plan to defeat the British hired Hessian forces without losing a single American soldier. We continue our way to Valley Forge, site of the 1777-78 winter encampment of the Continental Army. We debunk the myth of the conditions at Valley Forge as well as discuss its role in general Howe's taking of Philadelphia. We continue our way to Philadelphia, the city of brotherly love which was created by William Pen as the center of his utopia for religious freedom for America. Dinner at the award winning City Tavern, home to famous Chef Walter Staib, creator of the PBS series "A Taste of History". Overnight in Philadelphia (B,D). *Hotel available at $50 per person. End of tour and services. Flight home. (B). Discover our unique Itinerary for our Founding America Tour. Visit the places where our Founding Fathers made history. Live history in this exciting experiential learning trip. Re-live history through our historical character actors. Experience the sites of the Revolutionary War including Boston, Lexington & Concord, Fort Ticonderoga*, Saratoga, New Windsor Cantonment*, Fishkill Supply Depot Burial Ground, Valley Forge, Philadelphia. Dine in historic taverns, where our Founding Fathers dined. Tour one of the homes of America's first three presidents; Peace field. Reenact the discussion that led to the Declaration of Independence. Roll play the assembly at the Old South Metting House that precluded the Boston Tea Party. Behind the scenes tour at Old North Church. Learn how to drill like a Minuteman and decide whether or not to defend your home on Lexington Green. Walking tour of Colonial Philadelphia and Boston. Enlist in the Continental army and live like a soldier during an overnight encampment at Washington's New Windsor Cantonment*. Step aboard the U.S.S. Constitution. All visits, entrance fees & activities described in itinerary inluding overnight accomodation. Meals per itinerary in historic Colonial taverns. Ground transportation with 24 hour professional Tour Manager. All taxes, fee and gratuities except for driver and guide. Educational programs as described in the itinerary with emphasis in experiential travel at historical sites. Airfare, Airport transfers, Personal expenses, Lunches (except as stated in itinerary), Travel Insurance, Sleeping bag and ground pad for overnight encampment*. Scroll down or click below for more information about each tavern. Union Oyster House, oldest restaurant in continue use in America. The Green Dragon, meeting place of Boston’s Sons of Liberty. 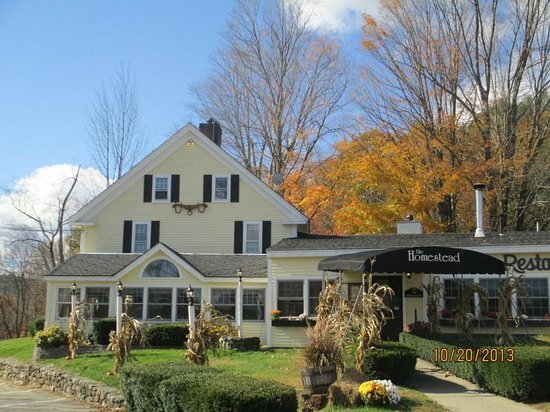 Salem Cross Inn, a 1700 era farm house built by the White family considered one of the finest restaurants in New England. City Tavern, home to world famous chef Walter Staib and PBS series “A taste of History”. Reynolds Tavern, steps away from Maryland State House where George Washington resigned his commission. Kings Arms & Shields Taverns, a favorite spot for Thomas Jefferson, Patrick Henry, and Peyton Randolph. Michie Tavern, Established in 1787 and home to the best fried chicken in the world. 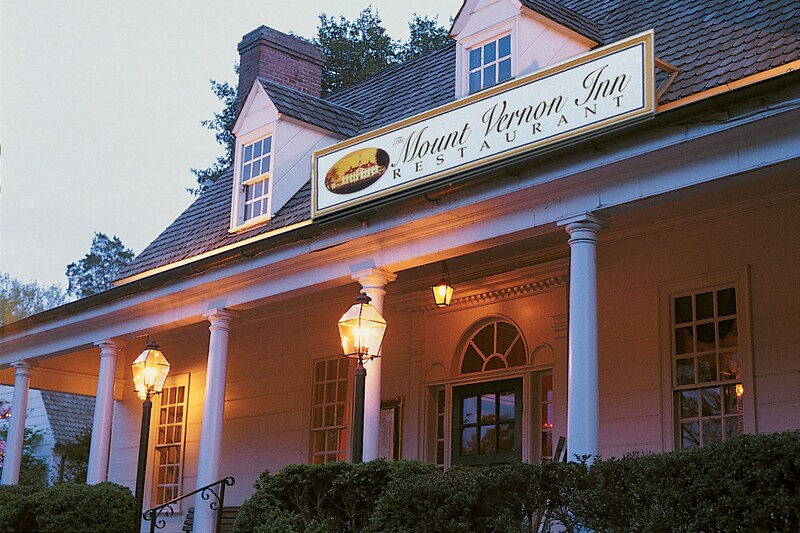 - Mount Vernon Inn. - Gadsby’s Tavern, patroned by G.Washington, J.Adams, T.Jefferson, J.Madison, J.Monroe and the Marquis De LaFayette. The Old '76 House in Tappan, NY is not simply one of America's oldest taverns. Built in 1668, The Old '76 House had a profound effect on the outcome of The Revolutionary War. Through its long use as a meeting place for patriots, The Old '76 House established itself as safe ground for Americans when the air was rife with revolution and the tavern itself served as the "prison" of the Revolution's most notorious spy, Major John Andre. That is why The Old '76 House is often referred to as "Andre's Prison", not a real prison, in fact never having been a place of incarceration for anyone before or since. Experience authentic 18th century American culinary history. Located in Philadelphia, PA, this traditional restaurant is run by reknown Chef Walter Staib, presenter of the award winning TV program "A Taste of History" which brings American culinary heritage to live. The Tavern was built "for the convenience and credit of the city" by a group of eminent Philadelphians who felt that their hometown deserved a fine tavern which reflected its status as the largest, most cosmopolitan city in British North America. When the Tavern was completed in 1773, it was one of the most elegant buildings in the city. In 1774, as the breech with great Britain widened, politics were the dominant topic of conversation at City Tavern. In May, leading citizens held a meeting in the Long Room to shape Pennsylvania's response to the "intolerable acts." Three months later, as the delegates to the First Continental Congress began to arrive in Philadelphia, the Tavern was thrust center stage in the dispute with England. Check out our current dates here.